Human dose projection is used at the drug discovery stage to guide the selection of potential development candidate (DC). More objective projections of the potential clinical efficacy and safety/toxicity are possible from the projected PK in humans for a compound relative to the clinical target product profile. Allometric scaling based on the preclinical PK data is the routine way to project the PK parameters in humans. Human PK projections from CLhep have also been used when there is evidence that metabolic clearance is the basis for plasma clearance. In addition, PK projections from animal models of human drug disposition have been employed when there was confidence that the animal model was predictive of humans with related sentinel molecules with known human PK. Figure 8. Allometric scaling of ML106 clearance in humans (R2 = 0.986). CLp human = 4.3 x (body weight)05831. Projected human blood clearance is 0.51 L/hr/kg. specific. A combination of monkey PK parameters and allometrically scaled clearance was used to project the human dose to maintain a minimum effective plasma concentration for longer than one and a half days, while keeping the Cmax below the NOEL established in rats and dogs. The projected narrow safety margin prompted the project team to continue screening more compounds for better PK, safety, and efficacy. Pharmacology often uses the mouse or the rat as a disease model to test for drug efficacy. Obtaining the required plasma drug exposure for efficacy is critical in translating a preferred target to proof of disease modification. The role of DMPK in drug discovery POC studies includes, but is not limited to a) selecting right compounds for POC/MOA studies, based on pharmacokinetic properties and b) addressing potential in vitro and in vivo discrepancies in pharmacological activity. In most cases, plasma protein binding is measured to compare free drug concentration with the IC50 to determine whether and how long the free drug concentrations are maintained above an in vitro effect target (e.g. IC50 and IC90). 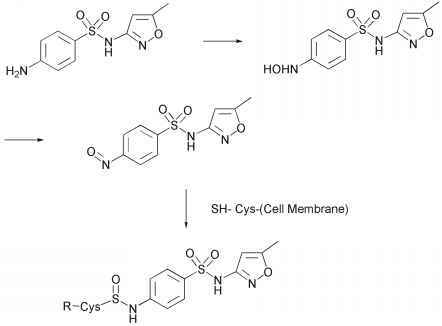 Multiple dosing, alternative dosing routes, infusion and broad CYP inhibition by co-administration of 1-aminobenzotriazole (ABT) are common techniques used to elevate the exposure of metabolically unstable but potent drug molecules. Similarly, specific Pgp, MRP and BCRP transporter inhibitors are tried to enhance the target organ concentrations where compounds are identified as a susbtrate of the transporter. The relationship between plasma concentration and target organ site concentration (e.g., tumor, brain, and synovial fluid) are compared to assess the relevance of plasma t1/2 to effect and to determine the PK/PD relationship.